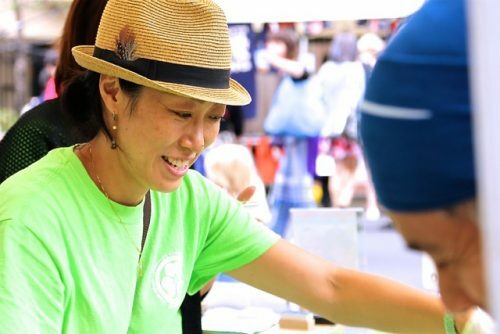 Naoyo Maekawa Co-owner/sales/accounting, Maekawa's Kitchen LLC. 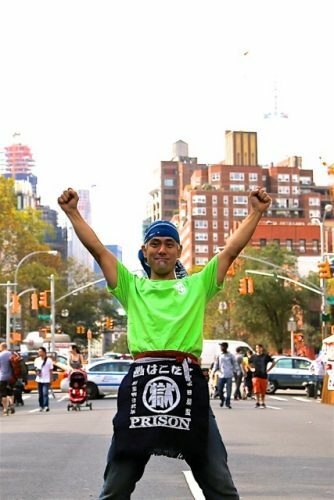 Naoyo learned culinary business　from several restaurants in New York City. Her strength comes from her focus on observing things 'on-site' and applying knowledge/research at the operating level. On her everyday life, she is a caring woman who feeds her family with healthy and tasty meals. She also humorously presents herself a boss figure in their Maze-Maze business. Her husband calls her “Shachou” a.k.a. president of company. Born in 1974 in Saitama, Japan, Naoyo grew up as the youngest with two brothers. The family had a tradition to have sushi at every celebrating occasion at home. Her father, who once pursued his dream becoming a sushi chef, always made huge platters of it for the kids with great appetite. As a kid, she learned there were always smiles around good food. At her early school age, she joined a cooking/knitting club. She got into crafting and soon started experimenting pastry. She was the one behind pastry business in school. Later years as a teen, she had a part-time job at a local noodle shop. Working there helped her to develop her sense of handling a culinary business at the operating level. After graduating high school, she worked at a Matsuzakaya, one of the Japan’s major department stores, as a sales associate for 3 good years. Then she learned the depth of professional customer care and hospitality. In 1996, Naoyo arrived in New York. She had pursued her career in culinary business at several different restaurants for over 15 years. 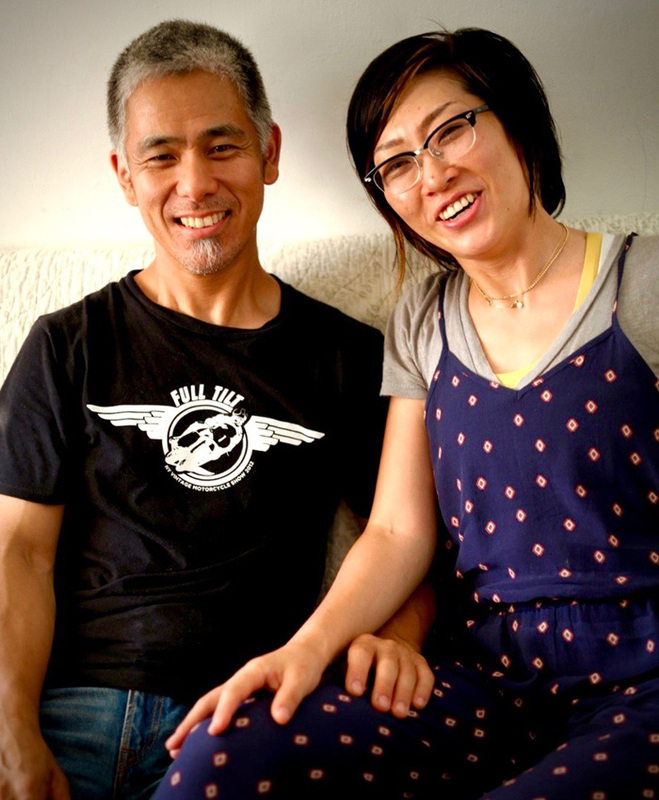 In 2012, Naoyo married to Muneto and started a new family in a suburban house, the north New York. In 2015, she and her family started Maze-Maze. Muneto Maekawa Co-owner/chef, Maekawa's Kitchen LLC. As a professional conservator restoring New York’s landmark architectures, Muneto is also the creative culinary brain behind Maze-Maze. After two decades of New York City life, he has happily relocated himself and his family in a house with a garden up in the north suburb. Born in 1969, at Suita, Osaka, Muneto is the youngest among 4 brothers. “Houchounin Ajihei”, a Japanese manga, opened the door to culinary culture for him growing up. Then it’s the outdoor cooking taught by Boy scouts that led him to the never-ending challenge of it. As a high school kid, Muneto got into a habit of fixing himself a night snack, rather cooking a late night meal. Since around that time, his cooking skill has always been appreciated among friends and family. As a self-taught young chef, Muneto also pursued his passion in Art and entered Osaka University of Arts to study Sculpture. After having obtained BA in Sculpture, Muneto flew solo to the states, and continued his study at Art Students League of New York. In 2000, his career as a professional conservator began at B & H art-in-architecture, Ltd. Two years later, his son was born during his first marriage. Since an early age, Muneto tried to have his son exposed to outdoor activities. Camping, for instance, has become their family tradition for more than a decade. Muneto hoped his son would learn a lot from the nature experiences just like back in days young Muneto was much inspired by outdoor cooking as a boy scout. Contrary to expectation, his son’s interest was pointing something else. Instead, Muneto has been able to create nearly a hundred of outdoor recipes. In 2012, He married to Naoyo and started a new family in the suburban house. In 2015, they started Maze-Maze.